Yeah, that's the Nutshell, not "a nutshell." I've read and heard a lot of stupid advice about personal productivity, and I'm here to tell you what actually works for me. I'm no superstar or high-power CEO, but I do have a good sense of how to accomplish my goals efficiently. As a teen, I was a straight-A student while participating in sports and other extracurricular activities. During my senior year of high school, I was dual-enrolled in college courses. Then I took a semester of graduate courses and did so well that I was helping other students understand some of the concepts--while planning a fabulous wedding, working a part-time job, maintaining my fitness, and having lots of fun with Mr. G and our friends. People kept asking me, "How do you do it?" So I'll spill my secrets and hope that they see me through working motherhood, which looks like it will be harder than anything else I have done before. Here is my recipe for productivity, in three tips. 1. I prioritize on a monthly basis. One of the dumbest things I keep hearing from productivity gurus is to prioritize ONLY those activities that directly contribute to your greatest dreams, and try to avoid the rest. That is nonsense. For example, cleaning the gutters is not a step toward completing my novel. But if I don't do it, my roof and foundation will rot, and I won't have a decent house to live in. Real people without personal staffs can't live in diva dreamland every minute of every day. Sometimes you have to prioritize activities that maintain your basic standard of living. That said, you must set aside a certain portion of your time for activities that bring you closer to your greatest dreams, because there won't be a fairy godmother showing up at your doorstep anytime soon to grant all your wishes while you're doing the chores. I keep lists. I am not a life pantser. That is not to say I'm never spontaneous or flexible. Having a plan gives me a framework to understand my goals, plans, and resources so that I can easily change them when an opportunity comes along. (See tip number 2, below.) I have a five-year plan that includes specific steps to get me where I want to be. Each month, I make a fresh list of priorities. This list is very intuitive and requires insight to determine what is most needed at that time. My top priority for the month might be something mundane, like catching up on housework. It might be personal, like spending more time with my husband. Or it might be fast and furious leaping toward my dreams, like participating in NaNoWriMo. I also keep a personal planner to keep track of appointments and daily to-do lists. Keeping organized lists and plans means I don't need to track all that stuff in my head, and I can rest easier at night and focus on what I'm doing in the present moment. Better sleep and better focus do wonders for productivity. Making careful plans is responsible. Sticking to those plans at any cost is idiotic. I deviate from all my careful plans pretty often. If an opportunity comes up that will screw up my daily to-do list but will make my whole week more efficient, or that messes up my week but makes my month easier, I'll take it. I try to take advantage of any chance to accomplish multiple tasks at once or getting more bang for my buck. That could mean scheduling my Thursday work hours to match my husband's so we can carpool to and from work and holding off errands until I can bundle them with other errands on the same car trip. That could also mean switching up my schedule to take advantage of a family member or friend who is going to be in town and can help me with something. Lately, it means watching for signs of baby sleepiness and starting certain important tasks (like napping, pumping milk, or putting in work hours at the computer) as soon as she goes to sleep, while saving other tasks that better allow for interruption and baby-entertaining (like folding laundry or exercising) for when she's awake. 3. I follow my inspiration. Having self-discipline is essential to productivity. If you don't have it, you need to develop it. But on the other hand, all work and no play does not write a good novel. If your goals are in any way creative, it is equally vital to keep alive the spark of inspiration. Opportunism can be focused inward as well as outward. The same way I take advantage of helpful things going on in my world, I also take advantage of how I'm feeling at the moment. If I'm raring to go on a particular scene or chapter in my novel, I'll jump right to it instead of forcing myself to work on another chapter or do outlining or research that day. A motivated worker is a productive worker. Listen to the music that gets you pumped. Tune in to every excited-to-do-something mood. Do what feels good whenever possible. If your heart is in it, success will follow. For example, right now I'm excited about cute baby clothes, so I'm about to go organize my daughter's closet by clothing size and type. This will make my life easier later, and it's a brief, mood-lifting task that won't get in the way of the other things on today's list, like going through my work e-mail. It's important to know thyself to distinguish between following a path of inspiration and following a sparkly temptation of procrastination. If you really feel like doing a thing and that thing needs to be done, why not do it now? Those are my main principles for productivity. They're simple but easier said than done. They require self-discipline, self-awareness, critical thinking skills, and a passion for achieving your dreams. If you don't have some of those qualities, it might be necessary to nurture or discover them. If you have them, the hard part--the internal part--of being productive is already done. Now it just takes thoughtful life plotting. 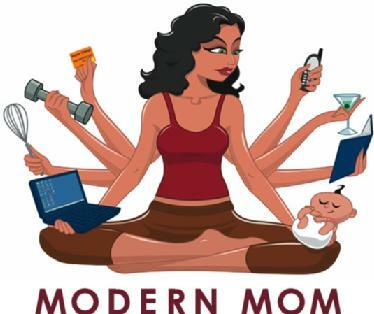 In April, I go back to my office job in addition to my mostly-from-home job and my most important role as new mom. As I transition back into the pre-natal work week, I will be prioritizing basics (family time, work, baby-proofing) to ease into my new routine at a sane and healthy pace. I'll take a break from blogging and writing until the first of May, and then I'll reevaluate and reorganize. I hope you figure out what makes you tick and post about it too, because you do a LOT of great work with your own publications, the Literary Lab, and the anthologies all while being a mom. Whatever you're doing, it looks like it's working! I like the way these three things complement each other. Very helpful to think about, actually!